Generating a following and identifying a specific market for your book can be a challenging process. 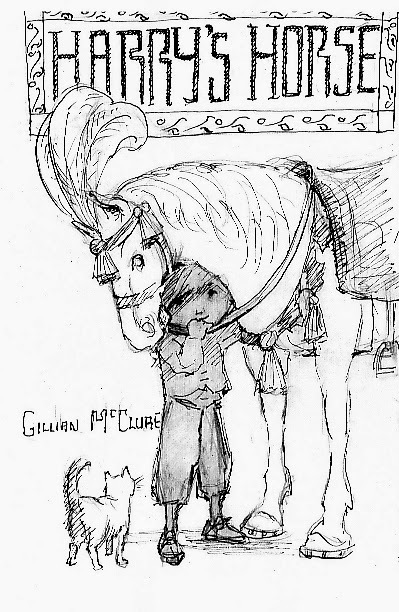 This week, author and illustrator Gillian McClure examines her experiences running a small press. It was when my editor phoned to ask if I would help her come up with a unique selling point for the new picture book she was taking to an acquisitions meeting the next day, Harry’s Horse, that I realised a nice story and pictures were not enough to see a picture book into print; a business criterion needed to be met and I was going to have to review my way of thinking. In the end the book my editor wanted for her art series never got published as she was unable to convince the sales team. That was back in 2009. A year later, I started Plaister Press in order to publish my own picture books. The decision was primarily a creative one - I wanted to proceed with a book rather than run a business. Luckily, the first Plaister Press book, Selkie, was a reprint. It had been on the National Curriculum and had a good sales track record. Just as well, for I still wasn’t thinking too much about the selling strengths of books. “Yes it is quiet,” I would say to customers (parents, grandparents and teachers.) “Ideal for reading aloud at bed time with a gentle rhythm and rhyme and soft coloured pictures.” I would read them the opening pages plus the final one and then, to make doubly sure, point out that the theme of The Little White Sprite - a child going through a hole in a tree to a magical world inside - was one that would be encountered later in books like Alice in Wonderland where a child falls down a rabbit hole into another world. Teachers, looking to inspire the imaginations of their Year 1 pupils, liked this and parents and grandparents sometimes would say The Little White Sprite reminded them of a book they’d had as a child, Enid Blyton’s The Faraway Tree. It was evident customers like to see a new and unknown book in the context of books they already know about. 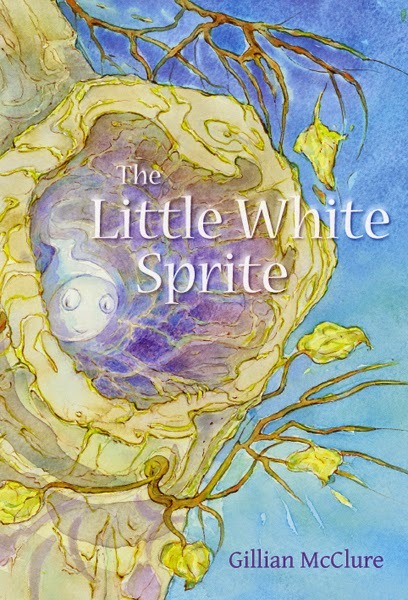 So there was a market for The Little White Sprite but it was not going to be a mass market and it was going to need some dedicated selling to shift copies. As the Plaister Press list gradually lengthened, increasingly, the business side of me would ask the creative side to identify the selling strengths of each new project right from the start. 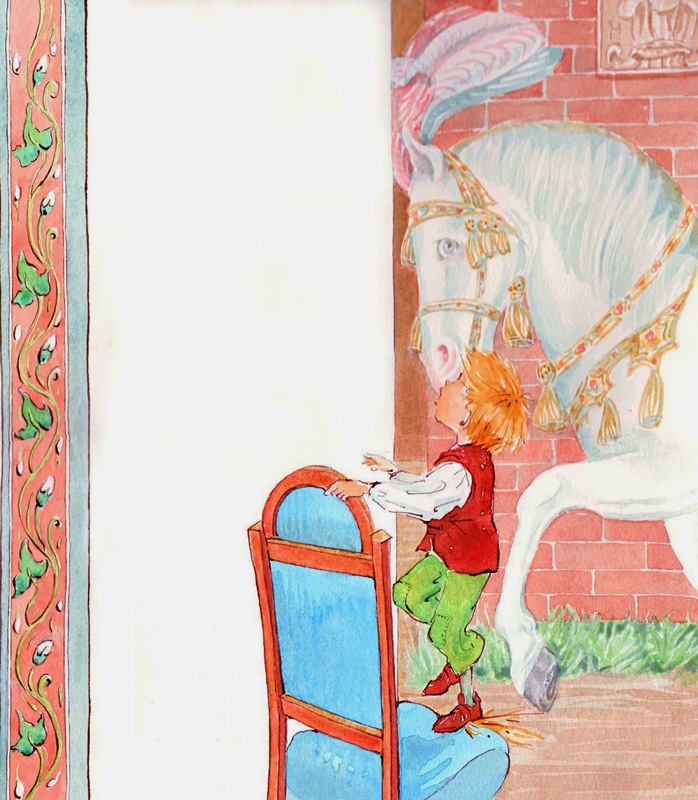 It was obvious now why my editor could not get Harry’s Horse through the acquisitions meeting. It was a story based on a picture hanging in Parham House, but unfortunately Parham House is not part of the National Trust so the market for this title would have been limited to just one shop instead of the many National Trust shops. I too have rejected that title even though I’m fond of the story and pictures. When I’m selling this book I now talk about beach holidays and hazy purple and yellow beach colours. This works even in the winter when we’re all yearning for summery outdoor activities. 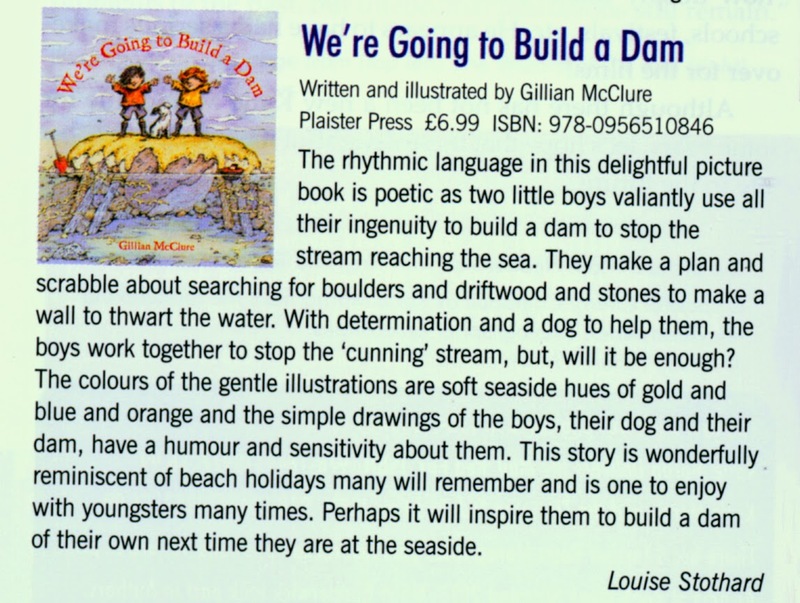 The fifth Plaister Press title, Flood was published after a winter of floods in 2014. I wondered whether that theme, along with the ink splattered, splashy pictures, would be its unique selling point. Despite one’s best efforts, however, publishing a book, whether for children or adults is a lottery; nobody really knows which book is going to succeed and some of the classics have had their selling points completely misunderstood or ignored by publishers: the following rejections are taken from Rotten Rejections by Bill Henderson. 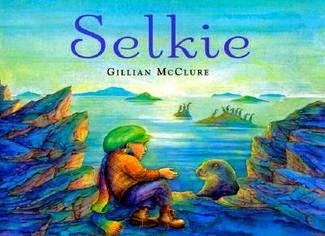 On 28 June Gillian will be leading an SCBWI workshop from a business perspective, Ways into Publishing, for writers and illustrators. Participants will be encouraged to look at their picture book projects, old and new, with a view to selling them to a publisher or directly to the customer if self publishing. Her official website is here. 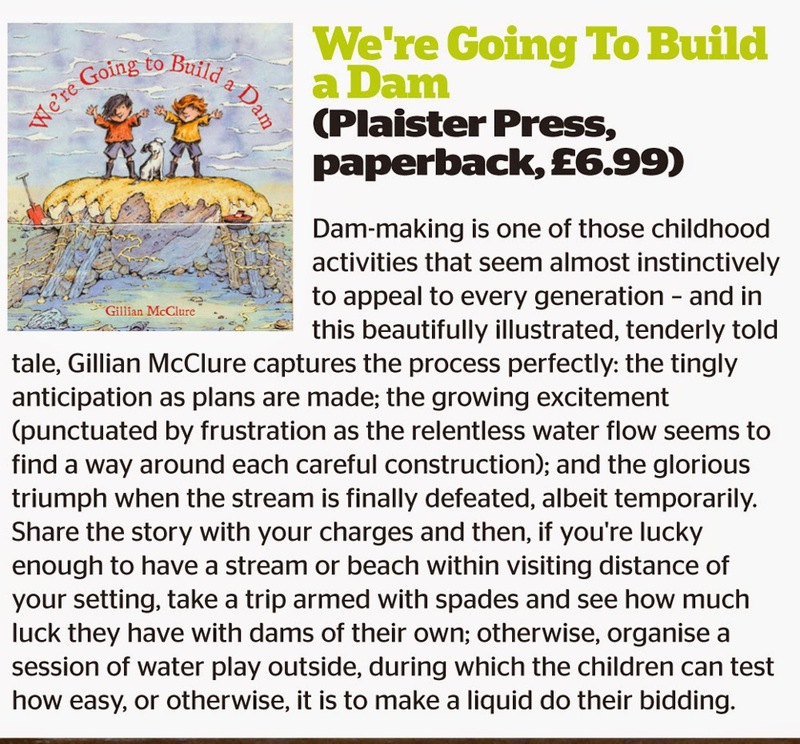 Really interesting - thanks Gillian! I wonder how much book covers work to attract our sympathy or interest or do they also need to underline the 'unique selling point'. 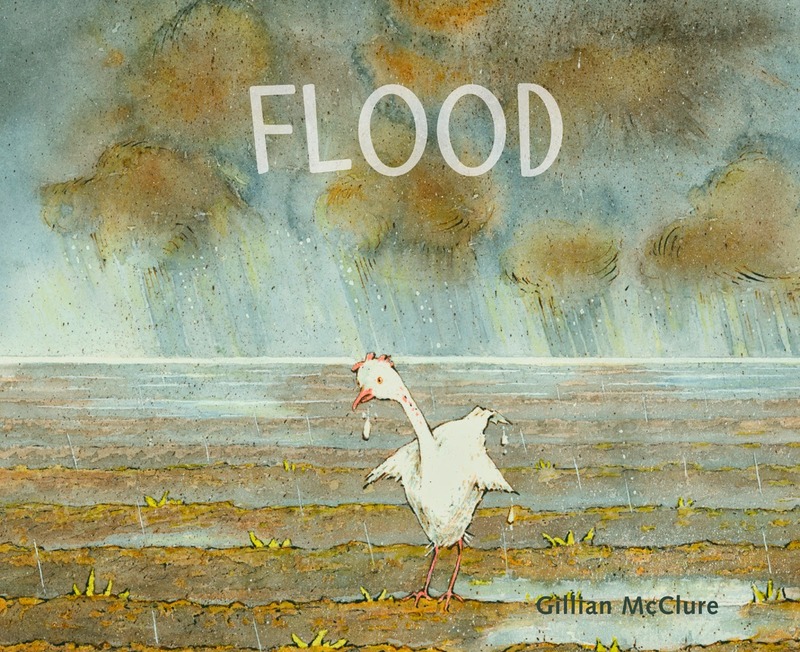 The cover of Flood - the sad little hen lost in a wet space - certainly makes me want to open the book. It is a compelling picture that would instantly stand out from the shelves of nondescript 'smiley' or sparkly book covers. Some sales teams seem to think spangles and smiles will attract buyers - but I wonder if they don't cancel each other out! I agree with Bridget's spangly cover comment. At the same time I acknowledge the Japanese publisher's emotional 'too soon' response. It is not so much a lottery I think but a diversity of fears that might stand in the way of publication. I'm not sure, Bridget, how the cover of Flood will fare alongside the 'smiley' book covers.I considered an image inside the book that would have been a brighter and more up-beat cover but it would have given the game away! 'A diversity of fears' standing in the way of publication is an interesting point, Candy. But do these fears lead to safer and safer books? Yes very interesting, Gillian - particularly that reviewers will identify the USP that we can't see for ourselves. I'm often very blind to a USP of a book and need help from people who are more detached.